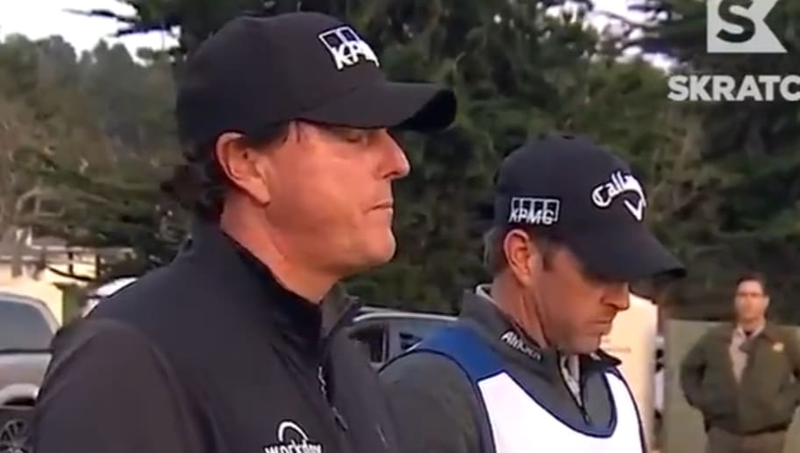 Phil Mickelson was on a roll at the Pebble Beach Pro-AM, but Mother Nature had other ideas. After a Saturday filled with rain and wind, Sunday proved to be no better. The precipitation from the day prior turned into hail and ice, causing play to be delayed and eventually suspended due to darkness. Mickelson was not pleased about it. Mickelson was leading ​the tournament with just two holes to go and had a three-stroke lead. Now, he'll have to wait until Monday to finish the job, which understandably is something to be upset about because now he loses his momentum and his opponents get time to rest and recharge their mental and physical batteries.